what happens when you post this on your facebook page? Well naturally you end up with not one, but 5 gorgeous recent brides, 3 set stylists, flowers, cakes, stationery, accessory vendors, 2 hair stylists, 2 make up artists, and 5 photographers. 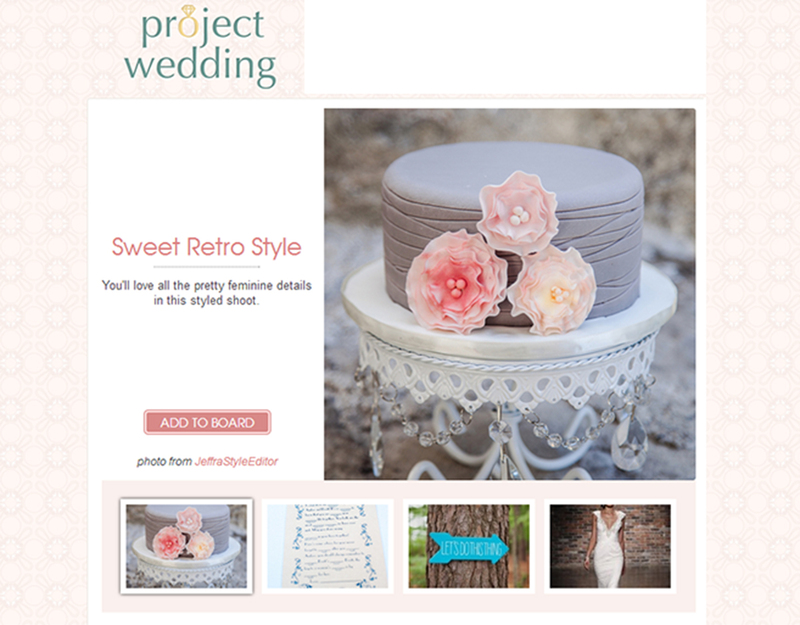 Published today on Project Wedding Blog… woohoo! This was an amazing colaboration & a fun day, a huge thank you to everyone involved! This shoot was a beautiful collaboration of some truly amazing Southern Ontario wedding vendors. We focused on bringing the Canadian charm of water, woods, & rustic stone ruins together with the soft elegance of ribbons, flower bouquets of peonies, sweet peas, astilbe, lily of the valley and more, vintage touches, and hints of soft pinks, grays, teals and golds. All this surrounded by nature was absolutely stunning! The location selected was the old Harris Mill Ruins in the heart of Rockwood Conservation Area (Rockwood, Ontario, Canada). It gave us the space we needed to create five vignettes and show brides that something out of the ordinary can make a unique reception location. Our beautiful models, Emily, Erin, Jamie, Katarzyna, and Teresa, were all recent brides of our vendors. Each had completely different weddings and they were extremely excited to be a part of a styled shoot. A chance to wear your wedding dress again… why not! Each bride wore their own gown, shoes and accessories. Makeup stylist Rebecca gave her brides a soft whimsical appeal, while makeup stylist Tamala created a hard edgy look. Our hair stylists Michelle and Kaitlyn created pretty styles incorporating ribbons or flowers. The first vignette portrays a more decadent, romantic side with the beautiful stone walls, fresh flowers and vintage décor, a flash back to great grandma’s vanity. A gold mirror was hung by strands of ribbon. Lavender and pink roses filled mini metal urns. Teal ribbon and a sprig of fresh lilac finished off vintage books stacked on the corner of the vanity. Tea cups were great resting places for earrings and rose heads. Rebecca even painted her candle holders and old chair to match the colour theme. The chair was wrapped in ribbon and finished off with a handmade tissue paper pom pom adorned with a vintage brooch. An old mantel clock, one of many used throughout the shoot, had time standing still for each of our brides. An antique buffet was set as the cake table, using the ruins stone archway and walls as a backdrop. Handmade tissue paper pom poms were strung behind the table creating a unique little DIY twist, one of our brides Jamie had a little fun with those pom poms. The stunning cakes were designed in a vintage theme and finished off with ribbons, sugar flowers and placed upon metal cake stands. Tiny tins filled with pale pink roses and lollipops were set upon a tiered cake stand, in the signature colour, to finished off the look. For these two vignettes – we really let nature and the surroundings do the talking. Water, rock, sky, & trees… an ideal backdrop! To keep these vignettes simple, our stylists set up a prop table for our photographers with various bouquets, piles of ribbon, vintage items like jewelry, mantel clocks, china, old fur shawls… oh can’t forget the blue canoe! (Only thing missing were the ducks!) The photographers were able to work with each bride using whatever they chose from the table to capture some totally stunning images. Who doesn’t love the simplicity of nature? Using old wooden crates, vintage and rustic decor pieces like old suitcases, china plates, tea cups and tarnished silver sugar bowls, this vignette was like a little flea market with the prettiest stone backdrop. Beautiful invitations, fresh flowers, a wedding cake, shoes in blue and pink, an old clutch, and a colourful pashmina (that just popped up out of nowhere!) just had to be used. We hope you find an abundance of inspiration in this shoot, from the ridiculously pretty floral designs, romantic stationery pieces to the amazing cakes, our talented stylists, makeup & hair stylists and of course our amazing photographers.